So, for this recipe I used a vanilla cake mix and followed the instructions on the box, but I did fancy it up by adding some vanilla and cinnamon into the batter. The real magic, though, is in the topping. Here are the boring plain cupcakes before I made them more exciting and festive. 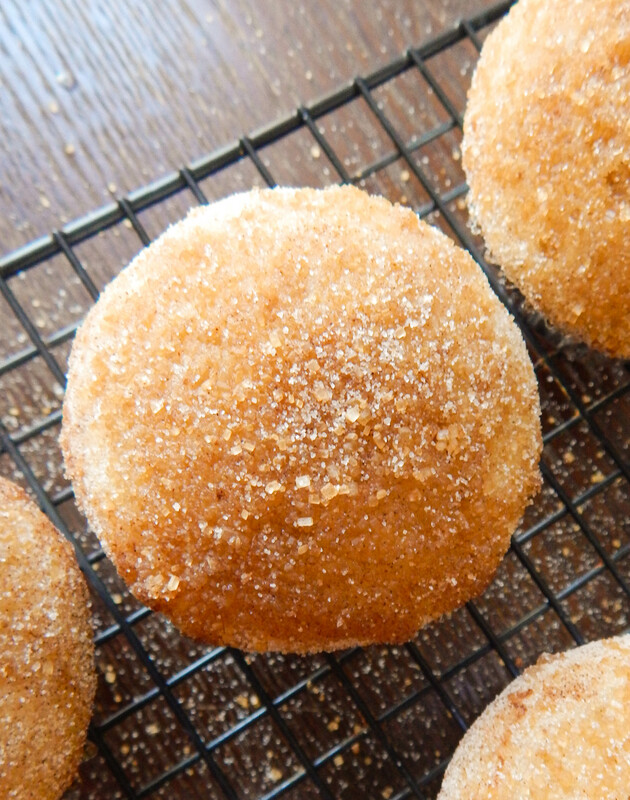 The “churro” part of this cupcake is going to come from the flavor and crunch of these two sugars mixed with the sweet spice from the cinnamon. I used plain white sugar and Turbinado sugar (aka Sugar in the Raw) as part of my topping. You could substitute brown sugar as well, but the topping will not be as crunchy. 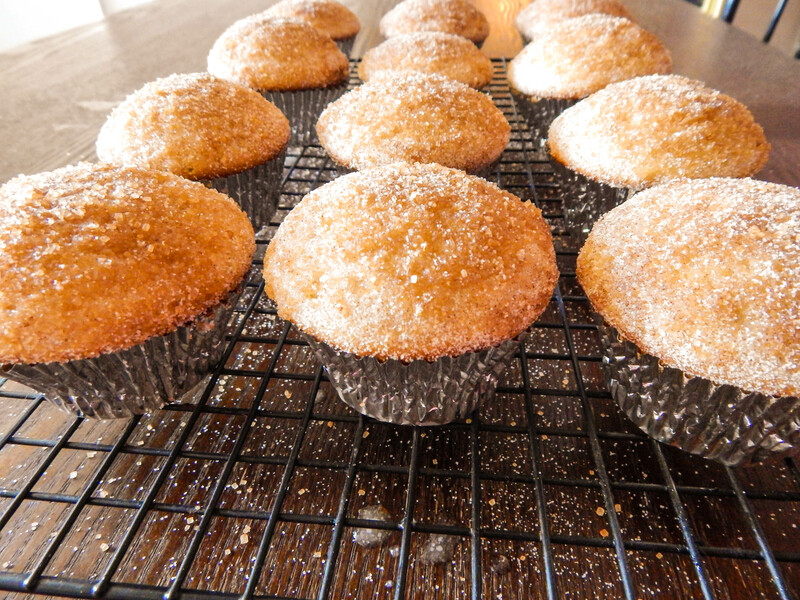 The cinnamon and sugars are mixed in a small bowl, and the butter gets melted and brushed over the tops of the cupcakes. Give the cupcake a nice coat of butter so the topping really sticks to it. 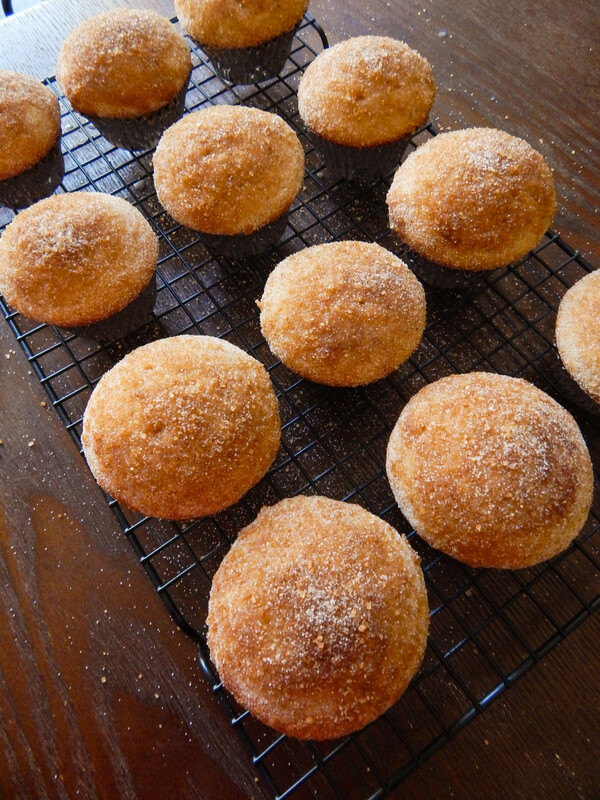 Once you have brushed it with butter dip the cupcake into the cinnamon sugar mixture and coat the top completely. 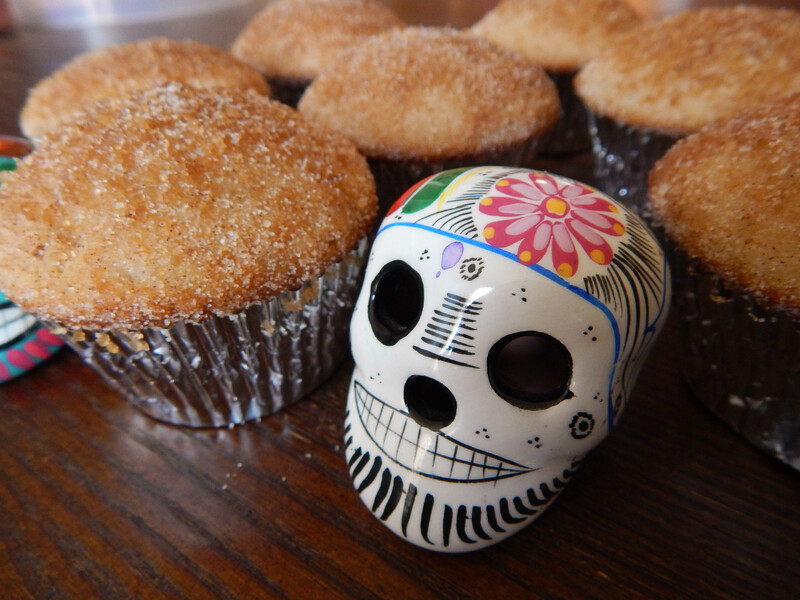 Once your cupcake is dipped into your churro topping it should look something like this. Yum! Continue until all of your cupcakes are complete. It’s okay if it gets a little messy! These are perfect for anytime you want to make cupcakes with a twist, or if you hate frosting like I do most of the time. A Mexican themed party such as Cinco de Mayo or Dia de los Muertos is an especially good place to bring these babies as well. 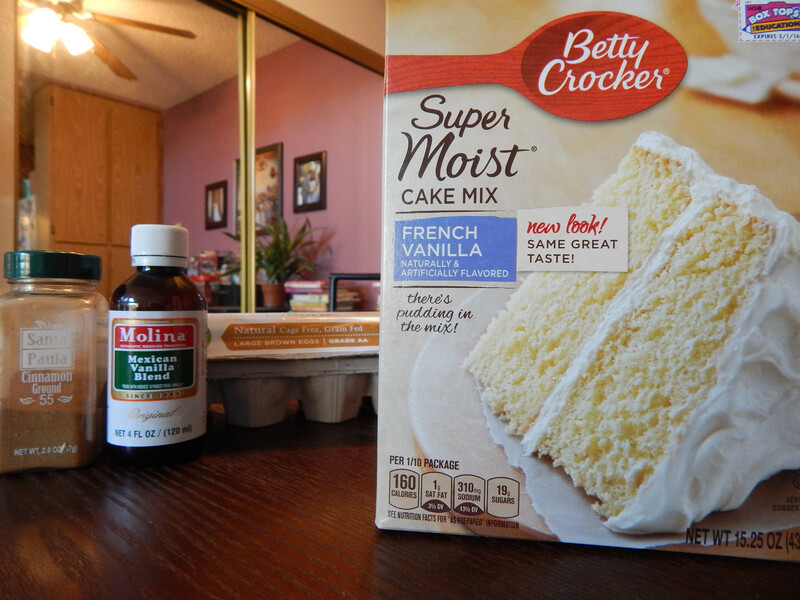 Use a vanilla box cake mix and follow ingredients/instructions on box. 1. Make your cupcake batter according to the instructions on the box, but mix in the vanilla and cinnamon. 2. Bake the cupcakes according to your box instructions. 3. 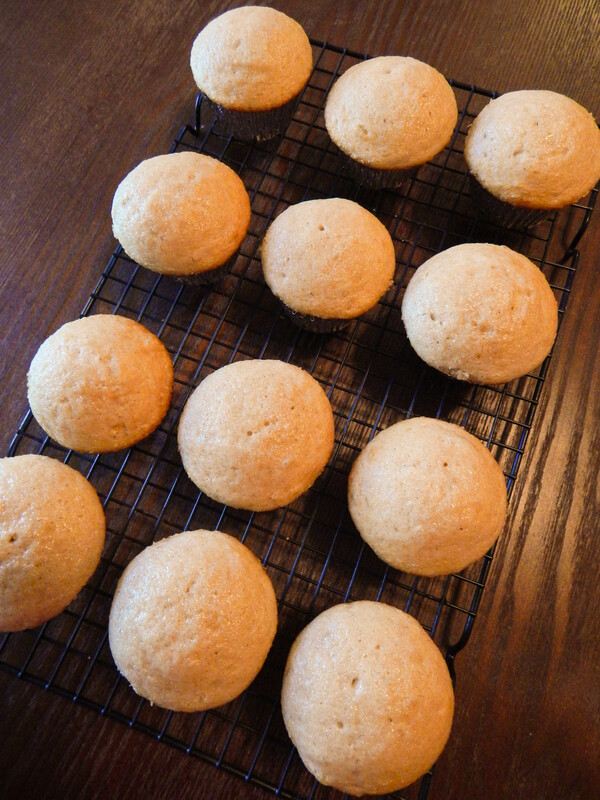 Remove the cupcakes from the oven and allow to cool completely. 4. Once the cupcakes have cooled, prepare your toppings. 5. Melt the butter and add to a small bowl. 6. 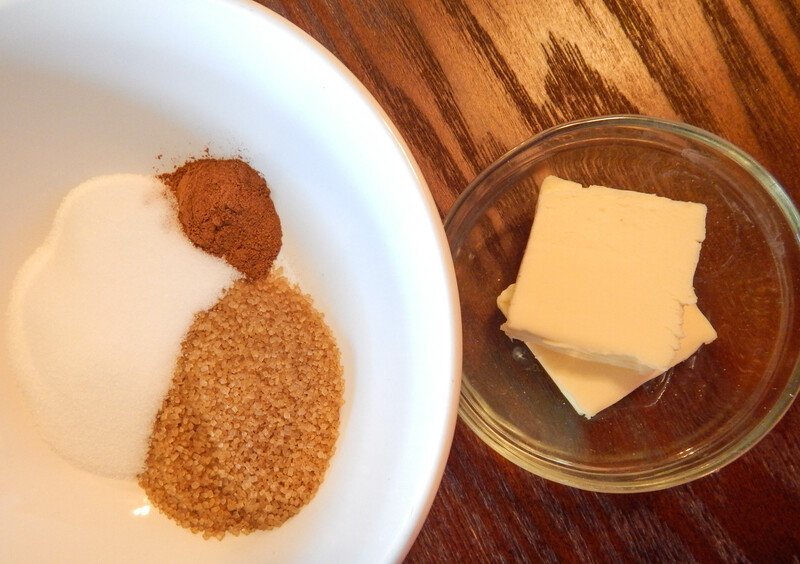 Combine sugars and cinnamon into another small bowl. 7. 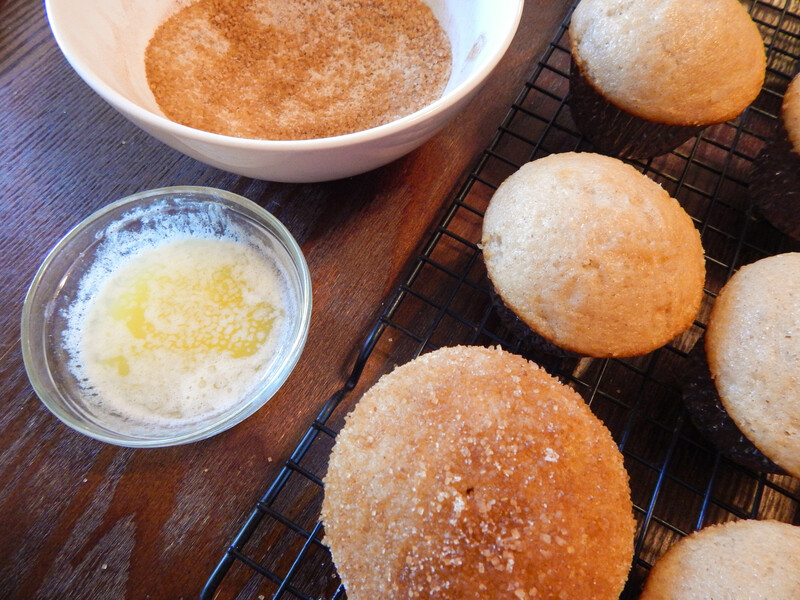 Coat the top of a cupcake with melted butter, and dip the top into the cinnamon sugar bowl. 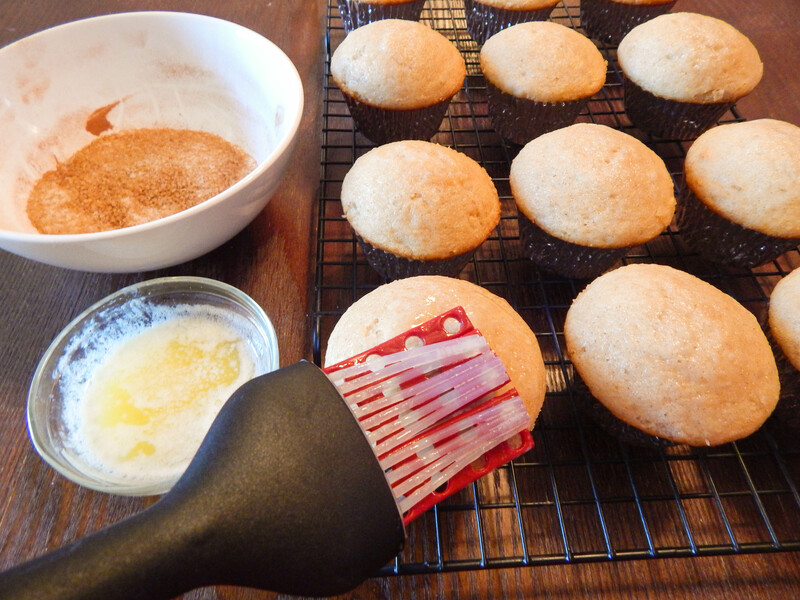 Press the cupcake into the sugar gently and ensure that it is completely coated. 8. Set the finished cupcake aside and continue until all cupcakes are completed. Love this. Going to try them! Love this recipe and I know i’m going to looooove this blog!! How about adding dulce de leche in the middle? Thank you so much!!! Dulce de Leche sounds amazing!!! yummy!!!! congrats on your blog! I love churros and I love cupcakes. I can’t wait to try this recipe to combine the two. I love how the sugar topping just glistens so temptingly. Yay! Thank you, I love the sugar topping! This sounds awesome! Do you think the crunchiness would be affected if I added cinnamon cream cheese frosting on top? I’m making them as we speak! So excited. Wondering if i can fill then with cajeta or dulce de leche? I made them your way, omg amazing! Aww thanks! They are a family favorite with my family now! Hi, Have you ever made the cupcakes the night before and then added the toppings the next day? can you use yellow cake mix? No, thank you so much for the sweet comment! You totally made my morning.☺️ I am so glad you and your family enjoyed them!